There has long been a debate about implications of globalization for the survival of the world of sovereign nation-states, and the role of nationalism as both an agent of and a response to globalization. In contrast, until recently there has been much less debate about the fate of religion. ‘Globalization’ has been viewed as part of the rationalization process, which has already relegated religion to the dustbin of history, just as it threatens the nation, as the world moves toward a cosmopolitan ethics and politics. The chapters in this book, however, make the case for the salience and resilience of religion, often in conjunction with nationalism, in the contemporary world in several ways. This bookhighlights the diverse ways in which religions first and foremost make use of the traditional power and communication channels available to them, like strategies of conversion, the preservation of traditional value systems, and the intertwining of religious and political power. 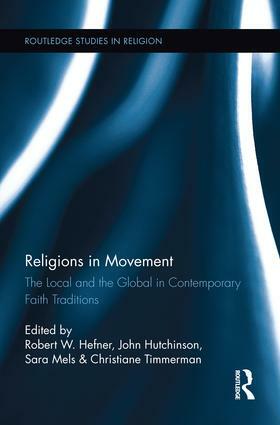 Nevertheless, challenged by a more culturally and religiously diversified societies and by the growth of new religious sects, contemporary religions are also forced to let go of these well known strategies of preservation and formulate new ways of establishing their position in local contexts. This collection of essays by established and emerging scholars brings together theory-driven and empirically-based research and case-studies about the global and bottom-up strategies of religions and religious traditions in Europe and beyond to rethink their positions in their local communities and in the world. Robert Hefner is Professor of Anthropology and Director of the Institute on Culture, Religion, and World Affairs (CURA) at Boston University, USA. John Hutchinson is a Reader in Nationalism in the Department of Government at the London School of Economics, UK. Christiane Timmerman is Director of Academic Affairs at UCSIA, Belgium. Sara Mels is Project Coordinator at UCSIA, Belgium.